Usually performed at the same appointment as your dental cleaning, a dental exam is another component to maintaining healthy teeth and gums. By participating in these check-ups twice yearly, you can be catching any developing problems while still at an early stage. This allows for less damage to the teeth and less financial costs associated with larger treatments down the line. Medical history: Your West New York dentist will assess how any new medical conditions or illnesses may affect your dental health. 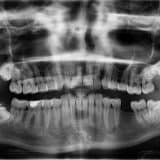 Diagnostic x-rays will also be taken in order to reveal any other hidden problems, especially in the areas below the gums. Bitewing x-rays are typically taken every 12 months and a panographic x-ray, which revolves around the head, is taken every 3-5 years. If it has been over 6 months since your last checkup or information on dental exam in West New York, please call (201) 662-1922 or click here to request an appointment today.